Join our Spanish Language Course in Peru and learn by immersing yourself in a Spanish-speaking environment. 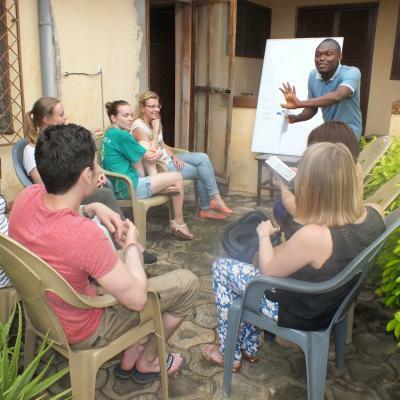 You’ll learn from a professional language tutor, and you’ll have the opportunity to practice with local people everyday. This experience will also give you a deeper insight into the local culture and traditions of Peru. You’ll get personalised language lessons tailored to your specific level. 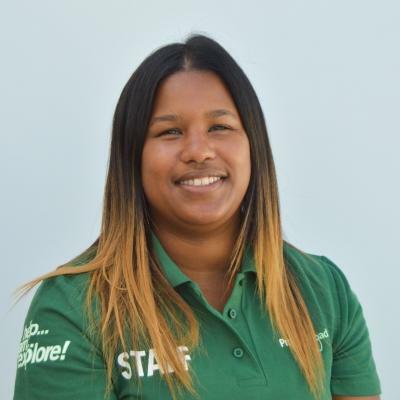 You can do a standalone language course and study for 15 hours a week, or combine your classes with one of our other volunteer projects or internship programmes. 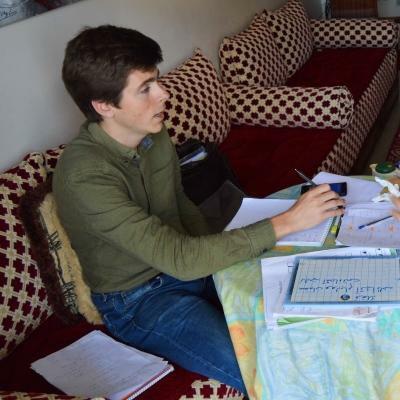 You’ll study Spanish while living in the city of Cusco, and staying with a local host family. You’ll have plenty of free time to explore the city, and practice your Spanish. 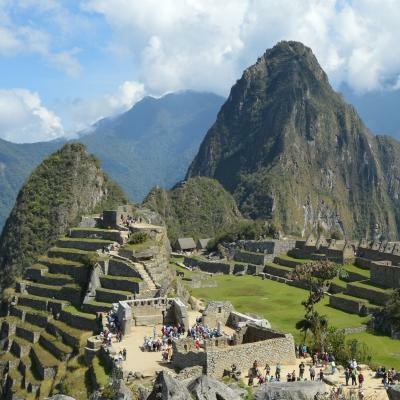 We definitely recommend taking a trip to the incredible Machu Picchu! Is learning Spanish in Peru right for me? Do you want to learn Spanish by immersing yourself in a Spanish-speaking environment? Would you like to practice your conversation with native speakers every day? This project is a great option for you to study Spanish while living in and exploring Peru! If you’re learning Spanish at school, studying Spanish at university, or are simply interested in languages, this is the project for you. Learning Spanish is a great way to expand your cultural horizons, and enhance your CV at the same time. You can join this project whether you’re a beginner or already able to speak some Spanish. The course will be tailored according to your Spanish speaking ability. 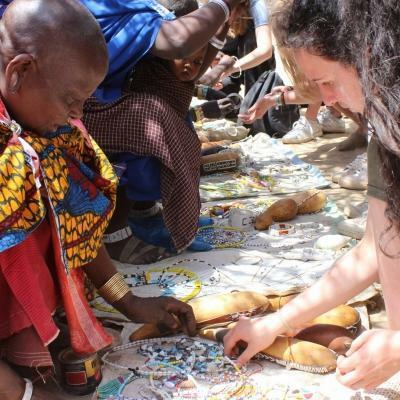 This language course is also a great add-on option alongside one of our volunteer or internship programmes. So, you can learn Spanish while supporting early childhood development in care centres, or teaching English at a local school. These can be 5-hour, 14-hour, or 30-hour add-on courses. This course is available all year round so you can sign up whenever it suits your schedule. The minimum duration is one week, but we recommend staying for longer to further enhance your Spanish skills. What I do on the Spanish Language Course in Peru? 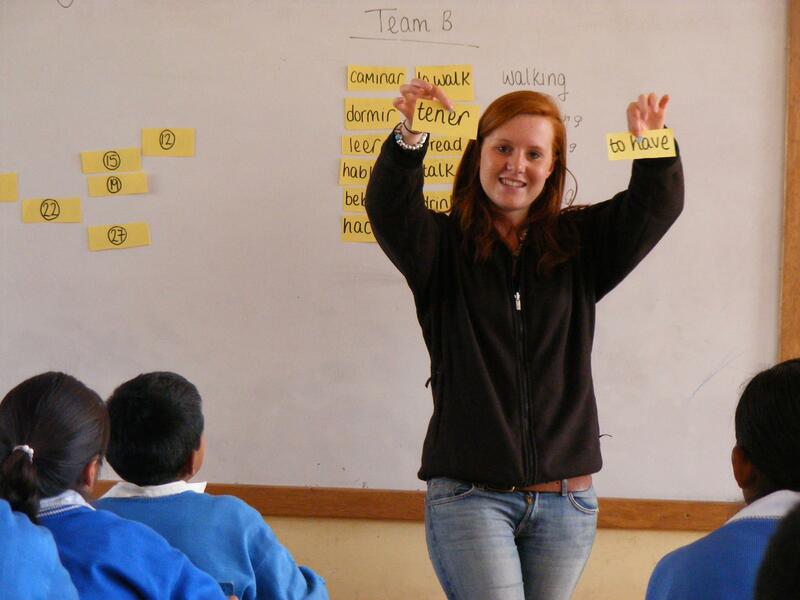 You can choose to do a standalone language course or you can combine your course with one of our other projects in Peru. If you do a standalone course, you’ll receive 15 hours of tuition a week. If you decide to combine your language course with one of our other projects, you can choose between a 5-hour, 14-hour, or 30-hour course. Your Spanish lessons will be held with your own language tutor. The course will be personalised according to your knowledge, skills, and interests. Your tutor will teach you about the language, but also about the culture in Peru. You’ll come away with a broader understanding of Spanish and how it is spoken in Peru. 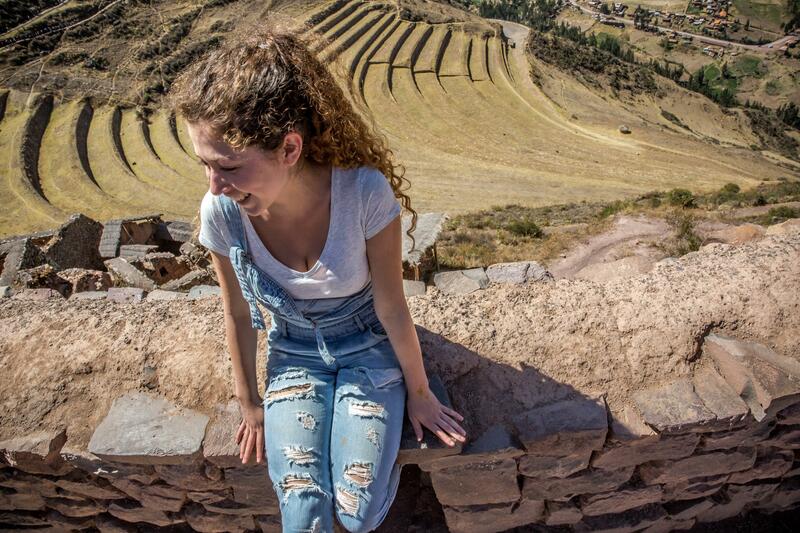 What’s great about learning Spanish in a Spanish-speaking country is the chance to practise what you’ve learnt as you travel around Peru, and specifically the city of Cusco. You can chat to vendors at markets, and speak with your host family. If you take part on another project as well, you can practice your Spanish skills with those you work with. Speaking to locals in Spanish is a great way to improve your conversational skills and pronunciation. 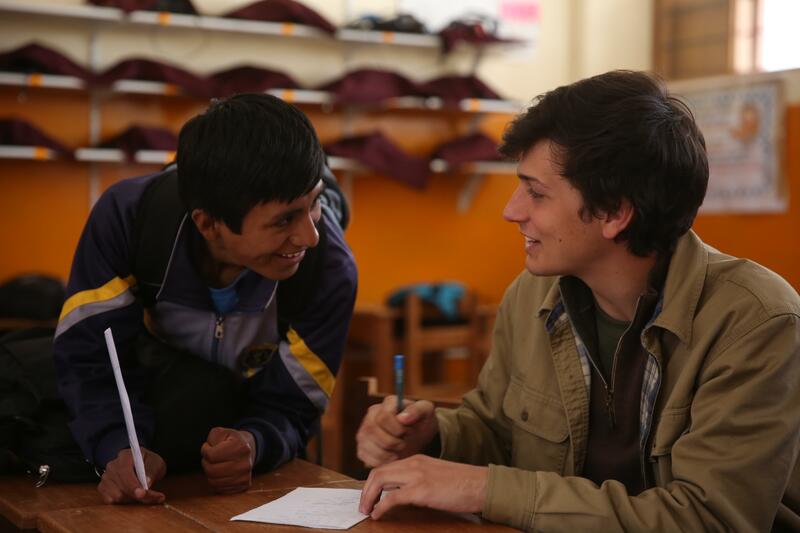 If you want to volunteer or do an internship in Peru, you can add a Spanish language add-on for 5-hour, 14-hour, or 30-hour classes. You can work with children and promote early childhood development, or teach English to school students and local teachers. You can learn medical Spanish to help you learn directly from doctors at our Medicine internship. We have a wide variety of projects on offer. 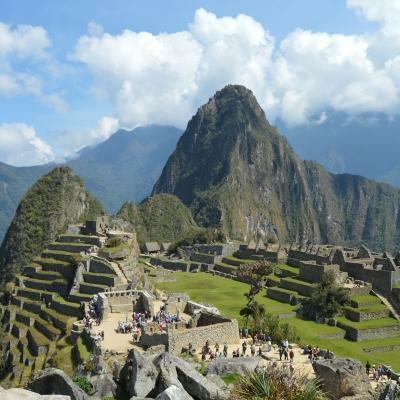 Take a look at the projects we offer in Peru to see if you’d like to combine one of them with your language course. You can also use this course to improve your Spanish before working on one of our volunteer projects or internships. This is especially useful if a project requires you to speak a certain level of Spanish. Your tutor will tailor your lessons to teach you the vocabulary relevant to your project. Your language course will be based in the city of Cusco. You’ll have your classes at your language tutor’s home. Cusco is one of the most fascinating cities in the world. It was once the capital of the Ancient Incan Empire. Today, it’s a UNESCO World Heritage Site. The remains of ancient civilisations are clearly visible as you travel around the city. Cusco is near the Urubamba Valley, and is surrounded by the Andes mountain range where llamas roam freely. A typical day will depend on whether you choose a standalone course or one of our language add-on courses. Generally, you’ll have a few hours of Spanish tuition each day. You’ll be able to arrange the exact hours of your lessons with your tutor. Your day will start with breakfast with your host family. If you’re more alert in the mornings, you might arrange to have your lessons early. But you can also have lessons in the afternoon, if you’d prefer. You’ll have your lessons at the home of a local Spanish teacher organised by Projects Abroad. Your lessons can be either one-on-one, or with another student who has a similar level of Spanish as you. After your lessons with your tutor, you can practise your Spanish skills during sightseeing trips around the city. If you’re combining language lessons with another project, you’ll spend the rest of your day doing things like working with children, teaching English, or learning about medicine from doctors. What are the aims and impact of the Spanish Language Course in Peru? The main aim of this course is to help you improve your Spanish language skills. 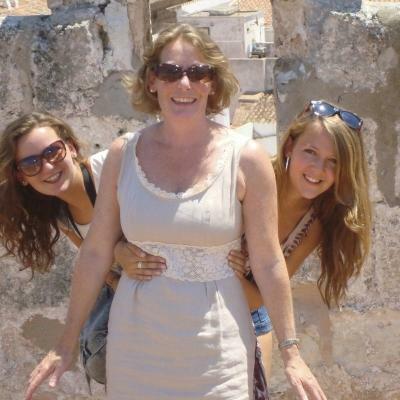 Your Spanish tutor will work closely with you during tailored language lessons. You’ll have the opportunity to practise the vocabulary and phrases you learn as you explore Cusco by conversing with locals. Interacting with people in their native language is also a great way to connect and learn more about their culture. If you combine your language course with another project, you’ll be part of our long-term, sustainable goals in Peru. For instance, if you join a Childcare Project, you can support disadvantaged children and promote early childhood development. This course is also the perfect option for you if you’re looking to join a project with Spanish requirements, and you’d like to brush up on your skills. For example, if you’d like to join a Medicine internship, you can improve your Spanish to meet the required level before you start. Your tutor will teach you vocabulary specific to the project you’re joining, so you’ll be prepared when you start your work. Join our Spanish Language Course in Peru and improve your skills in a Spanish-speaking country. I do think it’s a strong selling point on CVs, and certainly gave them confidence before going to university. It’s also given them some great stories and experiences to talk about, which are still entertaining us!